Historical Author C.W. 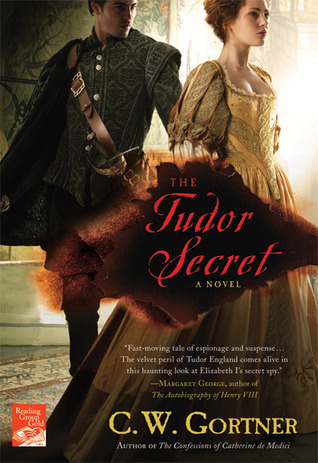 Gortner Creates Tudor Era Espionage, Drama, and Deceit in Thriller Series | Oh, for the HOOK of a BOOK! Today has a been a day I’ve been waiting to announce for several years! It’s the U.S. launch date for one of my all-time favorite authors and people, C.W. Gortner, and his second novel in the Elizabeth I Spymaster Chronicles, The Tudor Conspiracy! We’re introduced to the main male protagonist, Brendan Prescott, in the novel The Tudor Secret which started the series–and is practically is responsible for this blog coming about as well! You can even read my review of this first novel by clicking HERE. The Tudor Conspiracy picks up after The Tudor Secret, during the time with Mary 1 on the throne as Queen and traitors from the last novel are in the Tower. Brendan is sent back to court and begins to be a double agent between the espionage, paranoia, and drama happening amongst Queen Mary and her half-sister, Elizabeth. All of England is at each other’s throats over religion and both facets, Queen Mary’s Catholic followers and Elizabeth’s Protestants, want to be in charge and able to dictate conversion among the masses. Brendan, who for those of you that read The Tudor Secret know, has a special tie to this Tudor family. The Tudor Secret set-up the character of Brendan so well that I urge you to please go back and read it if you haven’t yet. 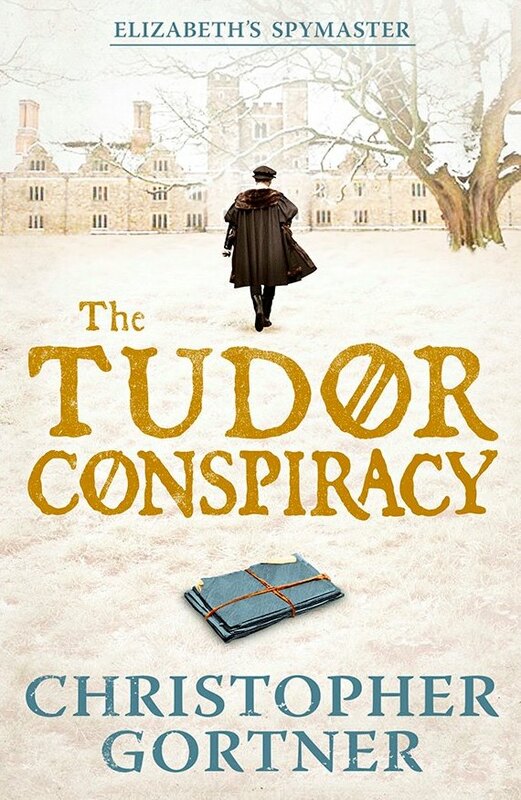 You’ll feel completely connected to Brendan and it will give you a more invested interest in The Tudor Conspiracy. You’ll understand his motives more and your reading experience will be better for it. I don’t wish to say anything in this review that might give away the story of the first book in the series, as it is SO wonderful and I had such a great time reading it. Brendan is conflicted and caught between both sisters and Gortner again does a fabulous job of showing Brendan’s emotions and thought processes as he keeps his feelings in check around almost everyone. There is a spy in every person, and eyes around every corner. Life in Tudor court in this time period is unstable and everyone is unreliable, with personal pursuits and feelings hidden and kept close to the vest. The loss of one of the main characters halfway through this novel is heart-breaking and I don’t know how Gorter penned through that, except that he must have funneled his own personal feelings from the recent loss he had of his beloved dog, Paris. That’s the mark of a spectacular author to be able to channel life tragedies and complexities into their works of fiction so that readers can literally feel what a character is feeling. I could relate to Brendan’s emotional loss of this friend and mourned this character myself, partly because I had become endeared to him in the first book. As the reader, I felt strapped into the mindful roller coaster of emotions that Brendan must surge ahead with every day in pursuit of doing what he feels is the most right . For such an entertaining novel with a fictional character (unlike many of his other bestsellers based on true women of history), he does extremely well as a writer in character development. I realized I’d come to know the characters personalities quite thoroughly, yet without all the overindulgence of some historical fiction novels. His detail is just enough for a mind picture, while also being subtle enough that the drama and mystery propel the story forward. I didn’t want to put down this book as I traveled with Brendan on his journey and tasks! I was a spy right along with him, and loving every minute of it! People complain that the Tudor era is over done in books, and maybe it is over saturated, but readers are still interested in their stories because there is so much speculation. What makes the Spymaster Chronicles so readable, and what The Tudor Conspiracy as the second Spymaster Chronicle book continues to do, is the fact that it takes a commonly historical time period with similar cast of characters and completely gives it to us as a suspense mystery told from the view-point of a male, rather than from the strong women of this time period. It isn’t just telling history, it’s using history to weave an enjoyable, imaginative story. We are used to hearing about the Queens, Princesses, Duchesses, and court drama, but I believe Gortner’s series stands-out from the rest as rather than being heavily history laden, it’s in fact light, fun, entertaining, and perplexing. Gortner gives us a glimpse of Queen Mary in a different light, showing her personality as strong, yet forgiving, loyal and endearing. Doesn’t sound much like Blood Mary, does it? It’s a side less commonly reported but is believable. We can relate to this Mary. On the other side, we can see the wild abandon and motivated essence of Elizabeth for her cause and her country. Both views of each woman is fantastic and I feel that Gortner does a wonderful job of really looking into the feelings of these historical women based on their historical experiences. 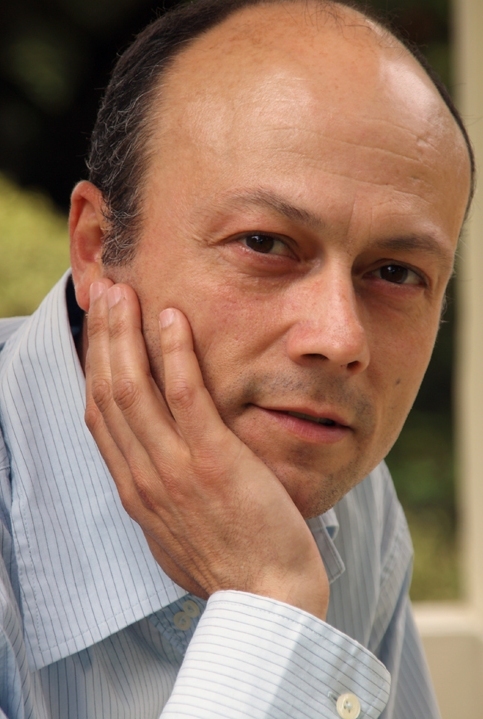 He knows enough on the subject of each, and is a skillful researcher, that he can bring us their personalities without overindulging historical references or clichés. Among other delightful things already mentioned, I loved his use of animals in the book as well. The beautiful horse, Cinnabar (great name!!) and the sleek and lovable Urian, a greyhound, were great companions to his human characters. 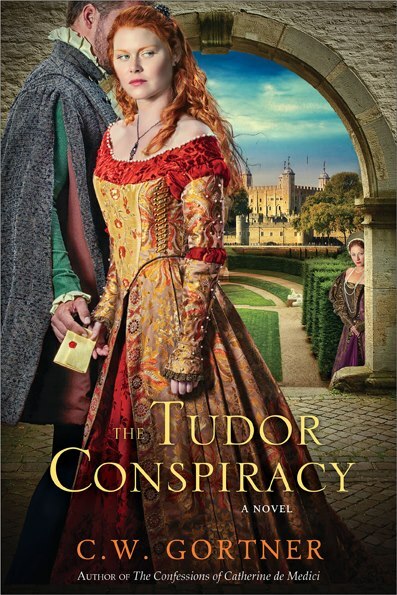 The Tudor Conspiracy is a book that’s fast-paced, emotional, full of intrigue, and dripping with drama. We are tasked along with Brendan in figuring out the espionage-laden intricacies, which fence together like swords, making dramatic music until finally it crescendos to a resounding high note. I can’t recommend this series enough! If you’ve read The Tudor Secret, don’t pass up The Tudor Conspiracy, but buy it today for one of your summer reads. If you’ve not read any Spymaster Chronicles, I’d pick up both! They are perfect for those of you who want an immersing, intricate, and intelligent read that’s laced with fun and excitement. And be sure to watch tomorrow, July 17, for my exclusive interview with C.W. Gortner! In his extensive travels to research his books, he has experienced life in a Spanish castle and danced a galliard in a Tudor great hall. Pingback: C.W. Gortner Discusses Tudor Era Writing, Intrigue, and Strong Women of History! | Oh, for the HOOK of a BOOK!